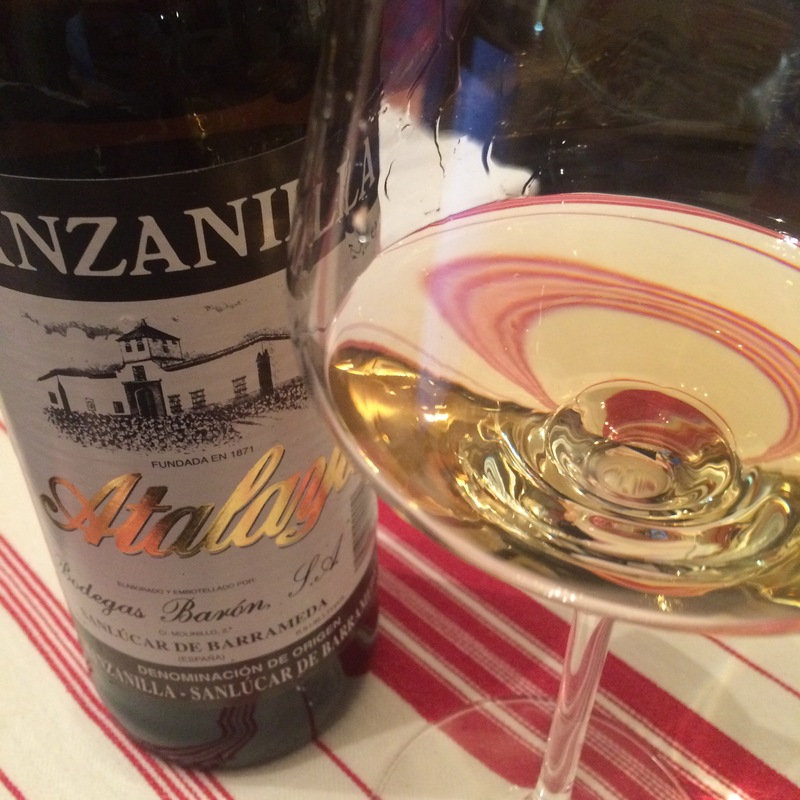 A manzanilla from Bodegas Baron – a brand that has survived the recent makeover but this one has the older label. It has a richer colour than some manzanillas and is very herbal indeed – well beyond chamomile tea and towards spinachy weeds, even a bit of curry. Quite salty and more than anything else, it is incredibly mineral – it reminds me a bit of a Loire white (don’t ask me which) with that whiff of empty fish tank/wet gravel. Salty on the palate too – salty and juicy. One of the bigger manzanillas and it definitely has the taste of must. When i first opened this a few days ago I thought it had been a few years too many in the bottle but maybe I was being a little harsh – there is a little bit of oxidation there but on a second drinking I am enjoying it more/finding it more harmonious. A very nice drop in fact – very interesting nose indeed.